HapKiDo's traditional head or founder is normally recognized as Grand Master (GM) CHOI, Yong Sool, a Korean of Chinese decent. Choi was born in Korea in 1904; a victim of the Japan-Korea war, he was sent to Japan to be a slave. Fortunately, he was adopted by a legendary DaitoRyu (Great Eastern School) AikiJujitsu martial arts GM, Takeda Sokaku, who was an undefeated champion of many fighting styles who eventually allegedly decided to teach his art to Choi after seeing his loyalty and dedication. This is questionable, however, as Choi was only menial help; however, he could have "adopted" Choi after a while, or Choi could have learned the Art from other students. What is unquestionable is that Choi did definitely master the art before his return to Korea after the war and GM Takeda's passing away in 1943. 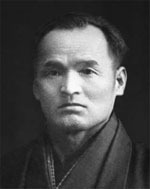 Many great masters came to train under GM Takeda, one of who was Uyeshiba Morihei, the founder of AiKiDo. 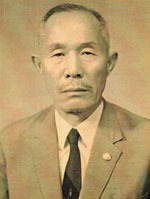 Choi returned to Korea in 1946; after being influenced by several of his senior students, allowed indigenous Korean kicking styles to be incorporated into the Art. HapKiDo(HKD), also originally termed as Yawara (Japanese translation) was first called 'YuSool', which emphasized joint locks and throws (this name was not popular); this was then changed to 'Yu Kwon Sool' (full name – HapKi YuKwonSool) which added kicks and strikes as well. 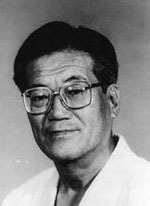 Another problem that initially hampered GM Choi was his total lack of instructing qualifications or credentials, claiming that they were stolen when he was disembarking from the train station on his return (despite several proposals by his students, he never applied for replacement papers, and follow up enquires by other students to the Ryu have found that his name was never entered into the rolls of former students). However, the newer names proved unpopular as well. The full name of 'Hapki Yu Kwon Sool' was also a mouthful, and in 1957, one of Choi Yong Sool's top students, JI, Han-Jae, abbreviated and changed it to 'HapKiDo' with Choi's blessing. One of Ji's major reasons was that 'Do' means 'Way" or "Life' whereas 'Sool' only means 'Techniques'. HapKiDo is usually taken to mean the "Way of Coordinated Power". 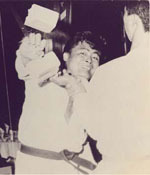 It was Gm Ji, along with another top HKD student, GM KIM, Moo Woong, who introduced and incorporated the famous TaekKyon based kicking techniques into modern HKD. These were in turn studied, adopted and spread by KukSoolWon and HwaRangDo practitioners after leaving the HKD system to form their own. 5) GM Myong's (Jung Nam) style, aka IHF or HanKiDo. HKD's main symbol is that of the attacking sea eagle, which was common in Hokkaido, where GrandMaster Takeda lived. A common symbol is of the eagle carrying an arrow in its claws. This symbolises both the speed and dynamism of the art as well as that weapons (the arrow) are taught. Furthermore, the arrow symbol nowadays also signifies the strong relationship with (ROK) Army Special Forces units, who train extensively in this art, swearing by its incapacitating and termination efficiencies. 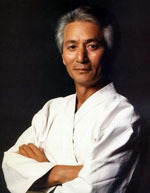 Some of GM Choi's notable students include Bong Soo Han (Billy Jack), Suh In Suk and Suh In Sun (KukSoolWon), Lee Joo Bang and Lee Joo Sang (HwaRangDo), and Won Kwang Wha (MooSool HKD). Some of Gm Ji's students are Myung Jae Nam, Myung Kwang Shik, Kim Yong Whan, Kang Jong Soo, Tan Sar Bee and Hwang Duk Kyu. Accepting that GM Choi's Yawara style had few (if any) kicks, GM Ji's richly TaekKyon integrated style is modern HapKiDo that most recognize it to be. The first gym (dojang) opened by Gm Ji was called AhnMooKwan. It was named after the district it was located, but was still Yawara influenced. GM Ji later moved and opened a new gym in 1957, whose name is the most famous in HapKiDo annals: SUNG MOO KWAN™ (aka SongMooKwan™ or SeungMooKwan™) or "School of Martial Accomplishments". GM Ji abandoned this name in 1979 after leaving Korea, and has since taught under the name of SinMooKwan. Because of ego, historical baggage, political happenings, disloyalty and the inability to live up to the standards and ideals of the SungMooKwan™, most HKD practitioners have avoided using it. HapKiDo training is very vigorous, and places great concentration on 'naturalness' of techniques. Economy of motion and "follow-through" or "extension" of techniques is stressed. There are virtually no hard blocks in the advanced stages of the art, redirections being preferred for their superiority. Strong emphasis is placed on takedowns, locks, throws and sweeps as well as kicking techniques. Comprehensive sections also cover breathing skills, meditation and weapons, which include the staff, knife, short stick, umbrella and folding fan. HWA, or Non-Resistance, is simply the act of remaining relaxed and not directly opposing an opponent's strength. If, for example a HapKiDo practitioner were to be pushed hard, rather than resist and push back, he/she would avoid direct confrontation by moving in the same direction as the push, and utilize the antagonist's forward momentum to throw or trip him. WON, or the Circular Principle, is a concept to gain momentum to execute techniques in a natural and free flowing manner, as well as harmoniously increasing ones speed and power. If, for example, an opponent were to attack with a linear type punch, the HapKiDo student would re-direct the incoming force by simply leading the attack away in a circular pattern, adding the attacks power to his/her own. Once re-directed, the student can then counterattack with ease. YU, or the Water Principle, is best described if one pictures the quiet, direct strength of free flowing water. When one touches water, it is soft; one does not feel anything. But water can be the most powerful force in the world, powering hydro turbines or blasting solid stone to from great canyons. Mobile: In most of our executions, there can be NO set stance. We must be able to flow in and out re our distancing vis a vis our opponent. A stance is only used at the moment in time when we need to execute delivery of a technique. If you stay still or remain static, you can be targeted, and thus hit. Agile: Agility refers to the constant changing of techniques that use once contact has been initiated. Again, we need to be able to use the optimum technique possible in an ever changing or fluid situation, including breathing, strikes, kicks, deflects, trips, locks, throws, etc. We also need to be able to react automatically and seamlessly to our opponent's moves and reactions to our counters. Hostile: As ours is a military biased system, the intent is clear here. Terminate, where we successfully end the immediate threat. Surveillance, where one must continuously be aware of one's environment; who is a potential or probable threat, weapons proximity, escape routes, etc. This must be done at both the conscious and sub-conscious levels. Evasion; on identifying a danger, we must try to avoid it by all means. This could be by simply walking away from your car for a while due to a suspicious character loitering nearby, apologizing to an offended party, requesting for assistance from a security or law official, giving up your wallet or money, etc. Reaction; if avoidance is impractical or impossible, we need to react quickly and efficiently. One must also consider a first strike option if it is felt justified (must we wait for the attack we know is coming, risking injury to ourselves and loved ones first?). Escape. When the threat has been neutralized, we need to evacuate ourselves out of Dodge soonest (get away now!). Earlier attempts to spread HapKiDo did not meet with great success due to the difficulties in training procedures, but efforts lately have been more successful. 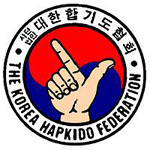 The original governing certification body for HKD (in fact, for all traditional martial arts) in Korea was the Korea KiDoHae (1960), and then the Korea HapKiDo Association (1965), both founded by GM JiHanJae. This occurred due to a power struggle in the KiDoHae, which saw Ji emerging second best and then leaving to form the KHA. The KHA was, however, disbanded in 1979, after GrandMaster Ji left for the USA where he now resides. The original KHA was reformed in 1990, and emerged as 2 reborn bodies, i.e. the Korea HKD Federation (KHF) under GM OH, Se Lim, and the other, still called the KHA, under GM HWANG, Duk Kyu. 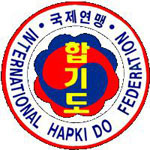 These are generally accepted as being 2 of only 4 bodies recognized to give HKD Dan grades in HapKiDo by the Korean Government, the others being the International HKD Federation or IHF (formerly of Inchon) reported split (now HanKiDo) and perhaps de-registered in 2002 (after the demise of their illustrious founder, GM MYUNG, Jae-Nam in 1999), and the KiDoHae. The KHA was also de-registered in 2002, renamed entirely differently, and continues to operate, albeit with a slightly different mission. HKD SMK, now under CKJ Julian S. Lim, is again a recognized name (2002 onwards) under the KHF, KKH and the KHA. While GM Ji did initially give his verbal approval (goodwill reasons only) to GM Lim's request to officially bring back the SMK name in 2003 (despite GM Ji himself abandoning it in 1979), GM Ji did not follow through with written approval and later changed his mind over financial and administrative reasons. All KOMA™ students will be taught a modified SMK syllabus until their 4th Dan, when qualified candidates will be offered the opportunity to study YongMooKwan (Dragon School of the Martial Arts), a specialized style founded by GM Lim. Progress in HapKiDo is roughly similar to TaeKwonDo, except that the lower belt grades have different colors (White, Yellow, Orange, Purple, Blue, Brown and Red) and generally consist of 10 to 15 Geup or lower grade levels. Senior (Black Belt) levels go from 1st to 10th Dan.